MG - I Say Ding Dong Shop - Buy Stickers, Decals & Unique Automobilia. MG Crossed Flag Style Document Holder/Toolbag. 10" or A4. 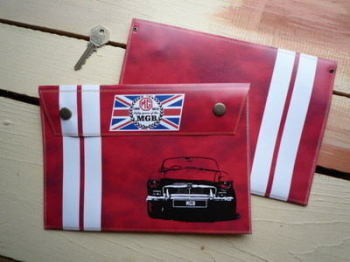 MG MGB 50th Anniversary Document Holder/Toolbag. 10" or A4. MG R-V8 3.9 Litre Large A4 Document Holder/Toolbag. 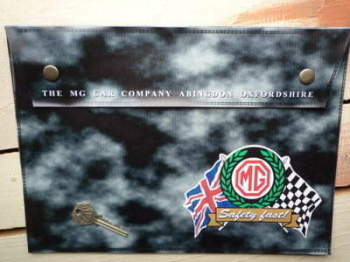 MG RV8 Beige Large Document Holder Bag. A4. MG Safety Fast Beige Large A4 Document Holder/Toolbag. MG Safety Fast Grey Large A4 Document Holder/Toolbag.